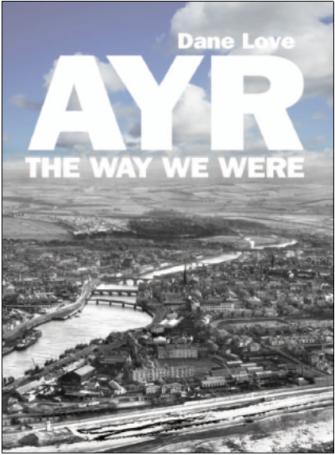 Ayr the Way We Were is available from the author's online Bookshop. Ayr Then & Now takes a fond look at the Royal Burgh of Ayr over the past decades, contrasting the older town with more up to date events. Every year is represented by at least two short tales from the time, with some interesting, amazing, and unusual events related. Accounts of famous visitors to the ancient burgh are given, as well as various tragedies that have taken place, from fires to drownings. The bok also has a few lists of notable buildings, places and people. In all, there is much to entertain and enlighten residents and visitors alike.